Great Lakes Christian College (GLCC) is incorporated. Thirteen acres on the north side of King St. in Beamsville, Ontario are purchased for the school. Fourteen students are enrolled in Grades 9 and10 at GLCC. The entire program is run out of the former home of Senator Gibson (built c. 1890). 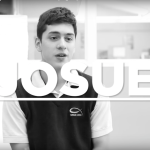 Grades 11-12 are added; enrolment increases to 36. Two other buildings are now utilized for the residential program and food services. The first GLCC Chorus makes its debut, led by Evelyn Perry. The first annual “Great Lakes Bible Lectureship” is presented. Huron Hall, originally a student centre and classrooms, is acquired and renovated. This will become the primary boys’ residence until 2002. The Women’s Association for Vital Educational Support (WAVES), a volunteer auxiliary group, is formed. They will raise over $1,000,000 in the next 50 years. College Hall, our main academic building, opens. The Faculty of Bible and Missions, a post-secondary level Bible school, opens on campus. The “Quonset Hut Athletic Facility” opens. The first annual Work-A-Thon is held. Enrolment tops 200 for the only time in our history. After 30 years on staff (23 as President), Geoff Ellis retires. College Hall is renamed “Ellis Hall” in honour of Geoff and his wife Doreen. A global recession is keenly felt at Great Lakes, but God’s provision, peoples’ generosity, and good stewardship allows us to continue to serve. Enrollment dips below 100 for one year. Our post-secondary Bible college is re-located to Waterloo, Ontario. Great Lakes Christian Preschool welcomes its first students. GLCC celebrates 50 years of service! Merritt Hall, home to the new Boys’ Dorm and Alumni Student Centre, opens. More than 3,000 students have attended GLCC for at least one semester. 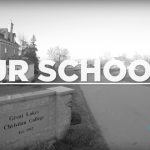 Great Lakes Christian “High School” (versus“College”) is reflected on all promotional materials. Reflecting growth and dedicated leadership in their respective programs, GLBC and GLCHS no longer share a President. Don Rose, President since 2006, becomes the “Chief Administrator” of GLCHS. Fifty-four year low enrollment of 88 students. Enrollment increases to 120, a decade high. After 45 years of service (20 as Principal), Brian Boden retires from administrative duties. GLCHS completes its most successful financial year. I wish I had another year of high school.